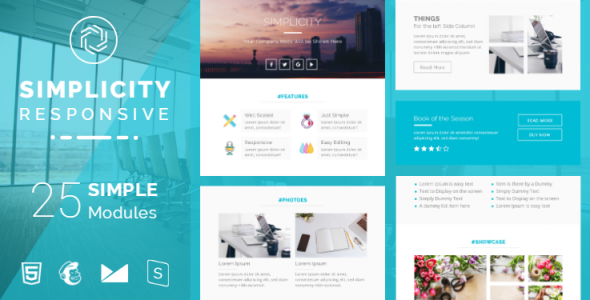 Simplicity is a Responsive email template designed for Multipurpose activity. This email template is fully editable with online Builder like StampReady, MailChimp, CampaignMonitro etc. Feel free to change any layout, images, elements, background and colors which beautifies your Email. StampReady, MailChimp, CampaignMonitor compatible Files and HTML with Inline CSS Included. Fonts used in this template is 100% FREE. No need to download.